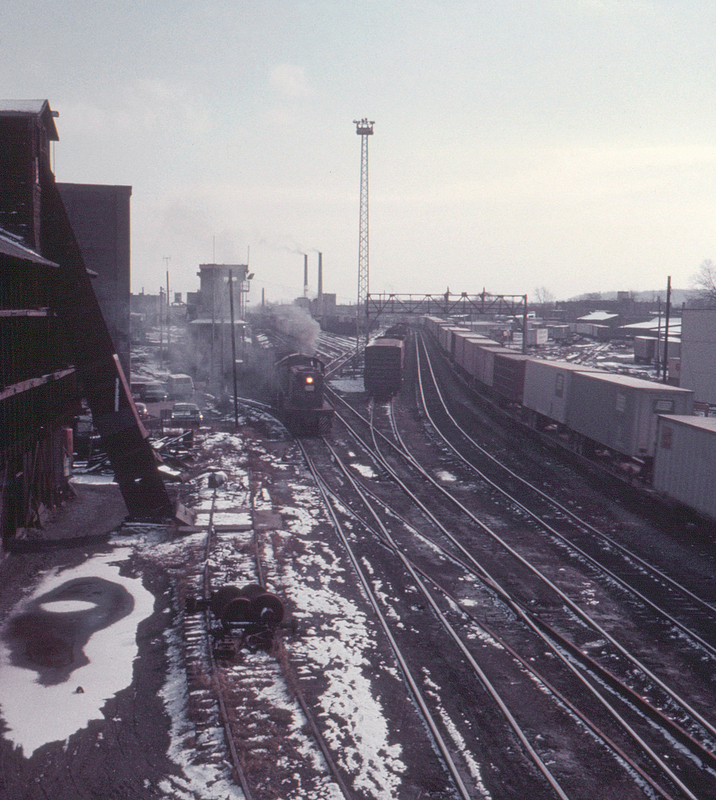 One of the New York Central's Alco switchers emits the customary plume of exhaust as it works the Central's Goodman Street Yard in Rochester, New York on a cold November day. A train of piggyback trailers (TOFC) and at least one of the Central's Flexi-Van containers passes on the mainline at right. Shot from the Main Street bridge.